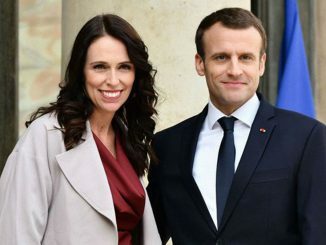 Earlier this year, PM Jacinda Ardern’s harmonious meeting with Emmanuel Macron was deemed to be the most important political coup of her entire trip to Europe. Supposedly, the rapport would help to lay the groundwork for a future trade agreement between us and the EU. At the policy level, Ardern even explicitly imitated Macron’s ban on future oil and gas exploration. Macron had announced France would phase out such contracts by 2040, Ardern responded with a phase-out by 2050. Both leaders painted the move away from fossil fuels as being essential to any meaningful global response to climate change. The parallels have continued. A few months ago, Ardern and her coalition government copped a lot of political flak when new and higher fuel taxes coincided with a temporary spike in global oil prices, thus putting pressure on poor and middle income households. Over the past fortnight, Macron has faced a more serious backlash over exactly the same issue. In a widely unpopular move, Macron’s government has raised fuel taxes as part of a ‘green tax’ initiative to reduce carbon emissions and speed up the transition to electric cars. Over the past fortnight, the fuel tax issue has crystallised the general sense of public anger (a) at Macron’s patrician style and (b) at his government’s technocratic solutions that (so far at least) have benefitted business and the rich, cut unemployment payments and weakened worker protections, and with more of the same waiting in the pipeline. Reportedly, 70 % of the French public oppose the fuel tax rise, and a majority of them support the protests against it. Last week, demonstrators wearing ‘gilets jaunes’ (ie the high visibility jackets worn by motorists) set up barricades in the centre of Paris, rampaged down the Champs Elysees, and set fires and smashed shop windows. The police fired teargas canisters, and turned water cannon on the crowds. It wasn’t a good look, some commentators lamented, for French tourism. Yesterday, Macron’s response was all too typical. He rationally conceded the existence of a general problem while pressing onwards with his own narrow set of prescriptions. In a President-knows-best speech to the nation about renewable energy, Macron professed to understand the mood of the demonstrators, but confirmed that the tax would remain, because it was good policy. To a limited extent, he acknowledged the links that the protestors have made between his fuel tax policy and the elitism that now characterises his entire administration. The criticism that Macron is merely “the President of the rich” finally seems to be registering with him. This spontaneous, grassroots tax revolt – organised on social media and without any clear leader or trade union backing – caught the government off guard and is seen as dangerous for Macron, whose approval ratings have dipped in recent weeks. In a rare display of humility and deliberate empathy with the anger among voters living outside of France’s big cities, Macron said his administration needed to be smarter in its policymaking to avoid a “two-speed France” emerging, where workers in outer-urban areas felt left behind. “I have seen, like many French people, the difficulties for people who have to drive a lot and have problems making ends meet at the end of the month,” he said. He acknowledged the increase in diesel tax, which kicked in just as pump prices were rising, had inflicted more pain than anticipated. The fuel tax will stay in place, but it will be “reviewed” every three months in some fashion, by some unspecified means. Meanwhile, the Macron motorcade speeds onwards, regardless of the President’s plunging poll ratings. Next stop on the policy agenda? Reportedly, Macron plans to overhaul the pensions system and the welfare state. According to Macron, France has been putting “a crazy amount of dough into social benefits, and people are still poor”. Yikes. At least Ardern raised fuel taxes only after she’d boosted welfare tax credits and entitlements – and not before she signalled an interest in cutting them. Popularity however, tends to mean very little when messianic reformers feel that they know best what the nation really requires – in fact, the mass hostility of the ignorant is taken by them as a sign that the medicine is working. If there was a British comparison for Macron it would be early period Tony Blair. Macron is offering Third Way solutions, yet with none of Blair’s shirtsleeved “man o’ the people” first term charm. Like Gorbachev, like Blair, there’s always a tendency to seek international approval when things turn sour at home. Globally, one of 2018’s political trends has been that the more the French people detest Emmanuel Macron, the more the wider world seems keen to embrace him. As the Merkel era draws to a close, Macron has become the only viable contender for her leadership role in Europe. You might have expected the French public would reward Macron for leading the country back to the global spotlight, but that hasn’t happened. Macron’s tart exchanges with US President Donald Trump have won far more favourable coverage outside France, than within it. Its not as if the French like Trump more; they simply like Macron less than everyone else seems to in the West. How can so much have gone so wrong, so soon, with the Macron presidency? You merely have to look at the sequence of his policy initiatives to see why the public feels betrayed. Macron came to power as a political outsider promising to govern for neither the left nor the right, and without any of the baggage associated with a discredited political establishment. His own political vehicle, En Marche, was going to be different. It would be all things to all people, but French to the core. Liberte (freedom and free markets) for the right, equalite for the left, and fraternite for all. “I believe in the market economy, the open world,” Mr Macron told me last summer. “But we need to rethink regulation so as to deal with the excesses of global capitalism.” With illiberal populists at the door, he argues that voters need to feel that they are not out there alone faced with the threat of machines, algorithms or open borders. So far though, only lip service has been paid to business regulation, or to the enhancing of the social safety net. That has been the big betrayal. Macron has proceeded to cut business taxes and estate taxes on behalf of the rich, tackled the rail unions as the vanguard of resistance to his plans to loosen the labour laws, and mounted a budget cutting austerity drive aimed at social services provision. In the same globalising spirit, he has also signalled an intention to reduce the dependency of French farmers on agricultural subsidies. So far, the Macron menu has offered welfarism to the rich, and the chilly winds of reform for poor, middle income and rural/provincial households. When coupled with Macron’s aristocratic, condescending personal style, this reform programme was bound to turn into political poison. Those on the centre-left who voted for Macron have gained absolutely nothing in return from him, while existing welfare and workplace safeguards have been rolled back in the name of goals that are accessible only to the privileged few. For a New Zealander there is something familiar in this combination of arrogance, dogma and political incompetence. It looks like Roger Douglas all over again, albeit this time in better suits. Politically, Shane Jones looks to be on pretty safe ground when he disses an Air New Zealand safety message that forces the travelling public to watch an interminable hip hop video. “Based on my quite scientific assessment of travellers’ views about that video, I have never heard the F-word more frequently and they’re not saying ‘first class,'” Jones said. Strangely, the National Party – normally the champion of choice in all things – has come out in favour of the enforced consumption of hip hop, without complaint. Next thing they’ll be wanting us to take night classes in the stuff. “Jones said he had sought advice from MFAT about the legitimacy of his spending. This would be the first time New Zealand has reported such subsidies to the WTO in 25 years. It would be incredibly embarrassing if the Government had to report this expenditure, especially given David Parker travelled to Europe in January seeking to limit the agricultural subsidies of other countries, and Jacinda Ardern’s recent trumpeting of free trade. Note the words “may qualify” and “sought advice from MFAT” as to whether some of the spending might constitute an agricultural subsidy. Maybes aside, the rest of the world could hardly care less. Last year, the United States spent $20 billion on agriculture subsidies. Every US Farm Bill since 1996 – ie. the farm support legislation passed in 2002, 2008 and 2014 – has increased farm subsidies. This year, the Trump administration also set up a $12 billion temporary package to provide relief for US farmers caught in the backlash of the tariff war that Trump has launched against China. In Europe, even the ongoing reforms of the Common Agricultural Policy still provide billions of dollars in support to EU farmers. Stacked up against that, the fraction of $3 million that Shane Jones may have spent on something that might qualify as a farm subsidy will not be a deal breaker. It will not affect our ability to negotiate an FTA with the European Union. It would be far more surprising if “for the first time in 25 years” the Act Party came up with a new idea.